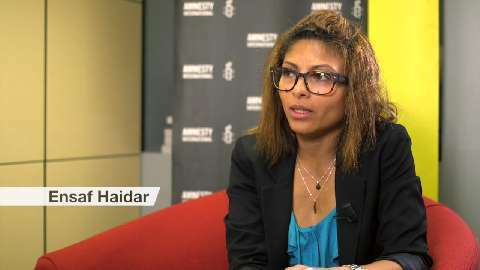 Raif Badawi is the Saudi Arabian blogger imprisoned for ten years and sentenced to 1,000 lashes, after being arrested on charges of insulting Islam on a website. 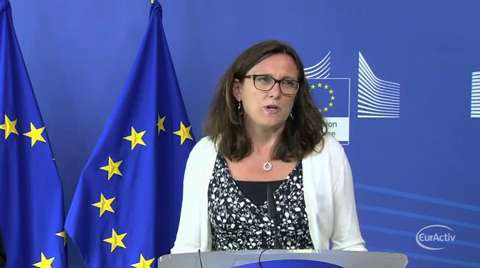 EU Home Affairs Commissioner Cecilia Malmström announced on Wednesday that the European Commission is set to intensify its assistance to Italy to help it deal with its immigration problems. 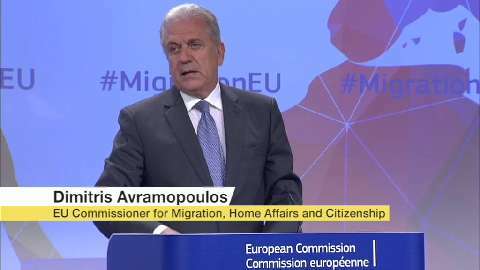 The European Commission presented on Tuesday plans to shorten and simplify visa-procedures for non-EU nationals wishing to travel to the EU for short stays. The European Commission released on Monday the second edition of the EU Justice Scoreboard, aimed to promote quality, independence and efficiency of justice systems in the European Union. 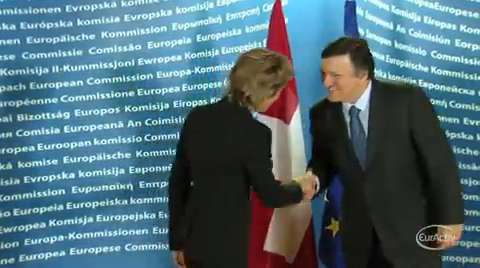 European Commission president Jose Manuel Barroso warned Switzerland on Thursday that it risks loosing access to the European single market if it continues with plans to restrict EU immigration. Barroso's comments came after the Swiss government said on Wednesday it will draft legislation to limit immigration by the end of the year. 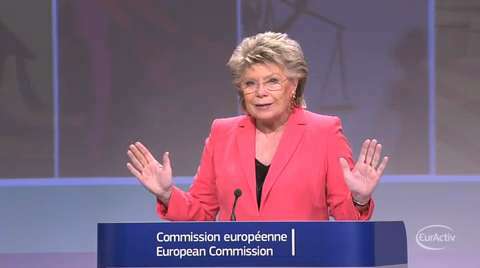 As EU elections approach, EU Justice commissioner Viviane Reding said on Monday that there is a need for more information about the European Union across EU member states. Amid increasing debate on immigration and free movement of people across the 28 nation bloc, Reding urged British citizens to make 'informed decisions' on the future of Britain's EU membership. 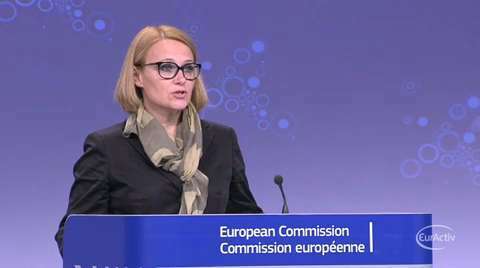 The European Commission warned on Monday of the rise of cybercrime, as cybercriminals are finding new ways to launch their attacks with the use of new technologies. EPTV charts the often treacherous journeys undertaken by migrants and asylum seekers to the EU each year. 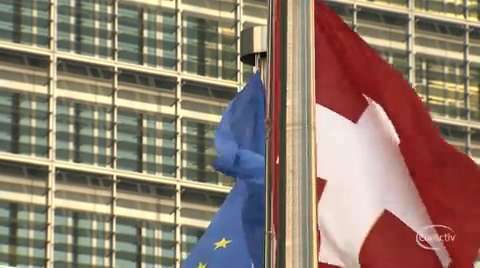 Brussels warned Switzerland on Monday that all their bilateral agreements will be revised, after the Swiss on Sunday narrowly backed a curb on EU immigration. 50.3% of Swiss nationals voted yes to reintroducing immigration quotas on EU citizens, in a referendum heavily opposed by Swiss business leaders and the federal government. 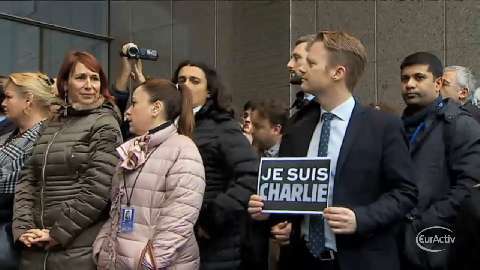 The European Commission heavily criticised the outcome of the vote, saying it goes against the principle of free movement of people. 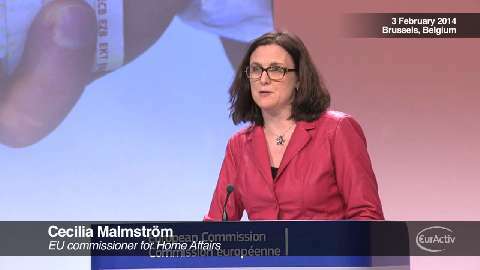 The European Commission has called on member states to step up their fight against corruption. 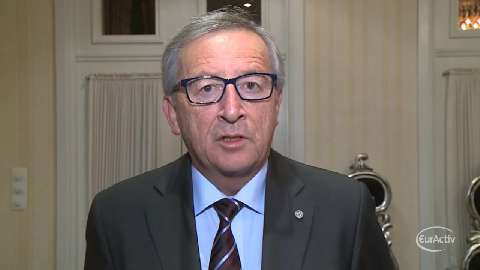 Calling the extent of the problem 'breathtaking', the EU executive said that corruption costs Europe around €120 billion each year, the equivalent of the bloc's yearly budget. 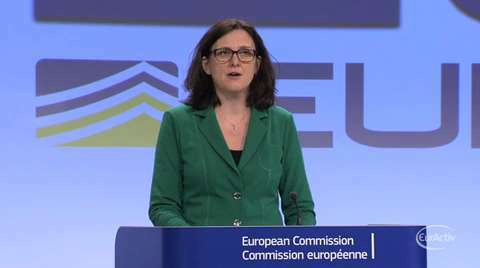 The Commission's warning came on Monday as EU Home Affairs Commissioner Cecilia Malmström presented the first EU Anti-Corruption Report. 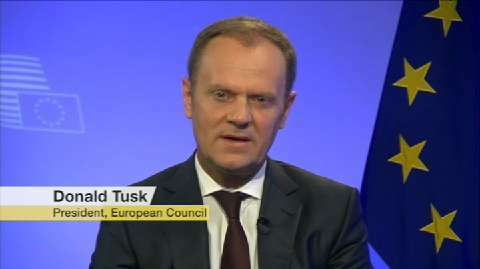 It suggests that measures to tackle illegal practices across the EU are 'far from enough'. 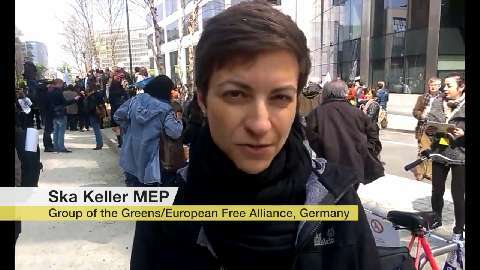 The European Commission took action on Wednesday to help EU citizens who lose the right to vote in national elections after moving abroad in the EU. 'Every EU citizen has the right to vote in European and in local elections in his or her Member State of residence. This is one of the key rights for the free movement of citizens and you know that 14 million of citizens are living in another Member State than their own.' 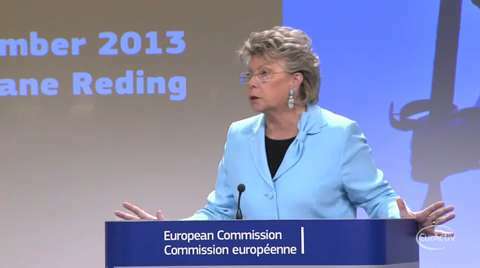 EU Justice commissioner Viviane Reding said. Brussels published on Monday a new guide on social benefits for EU migrants, amid a fierce debate on immigration across Europe. The guide aims to clarify the worker's place of residence and therefore, which country is responsible for providing social welfare. It comes at a a time when countries like the UK are trying to reduce the social benefits EU migrants can claim. 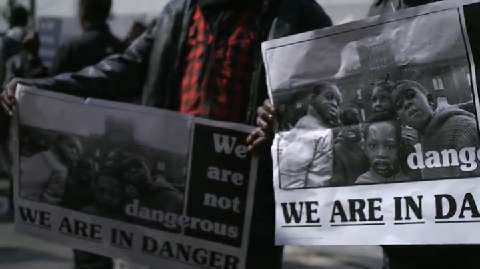 With the European elections in sight, fears of what some already call 'benefit tourism' are spreading across the continent. 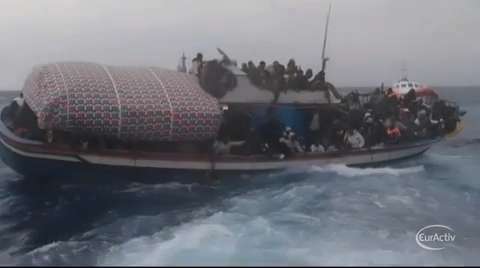 These images secretly filmed show migrants at a reception centre in the Italian island of Lampedusa. They are being sprayed for scabies after being forced to strip-naked in front of others. 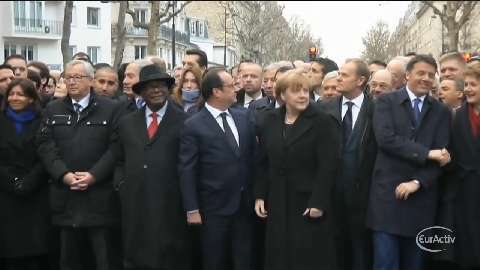 The release of the footage, shot by a Syrian refugee, has caused outrage across Europe. In Brussels, the Commission threatened the Italian government with legal action on Wednesday if poor conditions at reception centers don't improve. 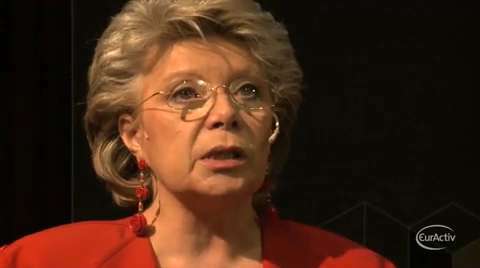 EU Justice Commissioner Viviane Reding said on Wednesday that freedom of movement within the EU is 'non-negotiable'. The comments come after UK's Prime Minister David Cameron wrote in the Financial Times that he will announce a crackdown on European Union immigration rules, vowing to deport vagrants, restrict the right of foreign nationals to social benefits and call for new rules to stop “vast migrations” of Romanians and Bulgarians.